« Are you ambiguous or uncertain? LloydsTSB has just been dragged through the press (again) for the way it has been handling complaints from its customers about mis-selling them PPI (Payment Protection Insurance). To be fair, LloydsTSB are no worse than any other bank in this scandal and they may argue they are a bit better because they fessed-up first and announced a multi-million liability for compensation, which forced the other banks to fess-up too. Although, on the other hand, they did sell rather a lot of it. Now, they admitted they had misled their customers by selling them PPI without their knowledge or by misleading or coercing them into buying it. What’s more, they knew all along that it was a worthless pile of poo (for the customer, that is, but highly profitable for them). They are not starting from a good place but they assured their customers they were going to deal with them properly from now on. They should be judged on their response, then. So, how did they go about dealing with this? Did they put their best people into a hit team to provide the best possible response to their customers? Did they make it a top priority within the business to make sure every customer was given the best possible outcome? Was the project under the direct control of the CEO, reporting to him on a daily basis? Was this made the topmost issue, without exception for all employees in the bank? They outsourced it to Deloittes. One of the most important customer issues you would think a business could ever encounter, a long-term systematic betrayal of trust to a significant number of their customers. 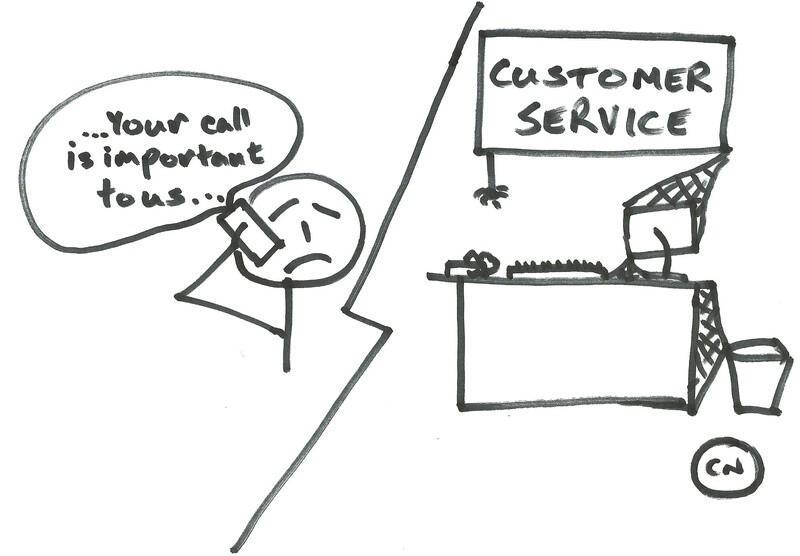 An issue that requires the absolute pinnacle of customer care, empathy and interpersonal skills. And they outsource to their accountants. Really, what planet are these people on? They are not alone. Many years ago I had a service issue with my BT Broadband that they refused to escalate, so I emailed the Chairman directly to get it resolved. (I got a call the next day, so it works to go to the top). It was only later I found out that they wouldn’t escalate it because the people I thought were BT’s Customer Service where actually a different company. What sort of screwed up logic makes companies take the most critical part of their business, the interface with their customers, and give it to someone else? How can that make any sense? 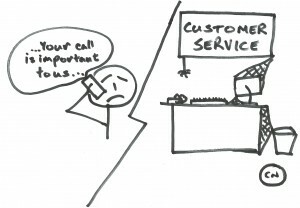 This is why so-called ‘service’ companies actually provide the worst customer service going. They simply haven’t got a clue what service means. This entry was posted in Uncategorized and tagged Brand, Customer Service, Marketing, Outsourcing, Service. Bookmark the permalink. Post a comment or leave a trackback: Trackback URL.